One night in the early 2000s, Kieran Hebden took the stage at Bimbo’s, a club in San Francisco’s North Beach neighborhood, and flipped open the lid of his laptop. That was unusual enough, that early in the decade: Though personal computers would soon become common in electronic-music shows (and even the odd indie-rock gig), few performers were using notebook devices as musical instruments in live performance at that point. But then he went and did something even more unusual: He opened up a second laptop. A little like the prog-rock keyboardists of yore, who perched spread-eagled between two keyboards, Hebden’s unconventional setup found him “playing” two computers at once. The set that Hebden played that night as Four Tet, his best-known alias, was unlike anything most people in the audience had heard or seen before. Unlike a DJ, he wasn’t just playing back records or digital files; unlike a more traditional electronic musician, he wasn’t just jamming on synths and drum machines. Instead, using an array of software tools running on both those laptops, he took the core elements of his songs and broke them apart, then built them back up again in dynamic assemblages of unsteady beats, thickets of noise, and his chiming, instantly recognizable melodies. Eventually, this performance mode would become fairly standard. In 2006, Daft Punk would stand astride a laser pyramid and zigzag through their biggest hits, essentially treating their catalog as fodder for one vast mashup. But Hebden was ahead of the game, and his innovative techniques have made him one of the most celebrated live acts in electronic music. Last October, Four Tet brought a string of October shows to London’s O2 Academy Brixton: two live shows and two DJ all-nighters. 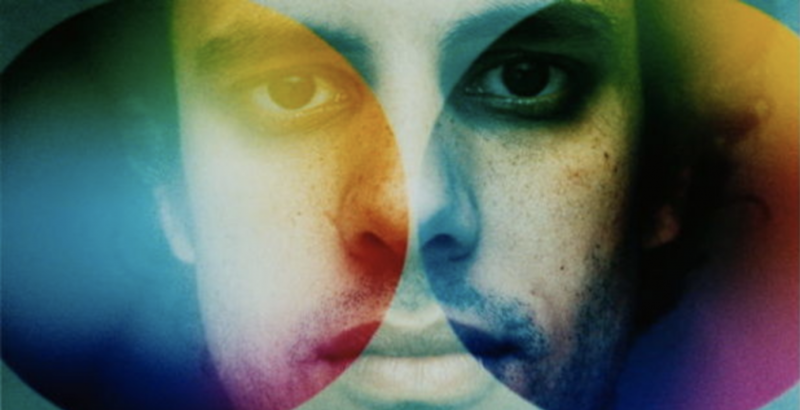 Four Tet and promoter Eat Your Own Ears have partnered with Ticketmaster and Academy MusicGroup on a major ticketing campaign to limit after-market resale, and get tickets into the hands of genuine fans through the Verified Fan program. Hebden is currently touring on another round of US dates across Los Angeles, Brooklyn, and San Francisco priced at $10 a head, keeping fans first. Electronic music isn’t easy to do live: Most of what we hear on record—from big-room EDM to gritty underground techno to chill beat music—is the product of untold hours of studio time and untold gigabytes of processing power. Drum programming, sound design, sample manipulation: None of that is easily done on the fly. To bring his music to the stage, Hebden had to search for a workaround. And he found it in those two laptops running in parallel. As recently as 2013 (Hebden seldom gives interviews about his methods), he was taking the same essential approach as in the early 2000s. On one laptop, he’s got the software application Ableton Live playing back rhythmic elements and other core components of his songs. Hebden’s reputation as a crack live performer has inspired a tidy cottage industry in Four Tet live bootlegs over the years. And now, at long last, the fiercely independent artist–for the past five years, he has released the vast majority of his music on his own Text Records—is meeting fans’ demands for his live sets with a growing body of official live recordings. A few of these have been floating around as audience bootlegs for years, but getting to hear them in top-notch audio offers an even better glimpse at exactly what’s so magical about Four Tet’s live shows: the extended buildups, the churning flights of rhythmic fantasy, the canny sense of when to tease out a recognizable riff—and when to hammer it home. Listening back at home, much of the fun of a Four Tet live set entails cueing up the album on your computer or your phone and then taking your eyes off the screen for a spell. In the Tokyo set, there’s a dizzy transition as he’s segueing out of the synth-streaked “Jupiters”: The drums tumble, the vocal samples stutter, and you get the sense that just about anything could be around the corner. Then, he brings in the instantly recognizable melody of “128 Harps,” and if you haven’t heard the set before, or you haven’t studied the tracklist, the sneaky way he brings those crystalline plucks into the mix triggers the sweetest kind of release. Unlike many other genres, electronic music—live sets and DJ sets alike—is often about exploiting the tension between sounds you’ve never heard and melodies you’ll never forget. And nobody nails that balance better than Four Tet.